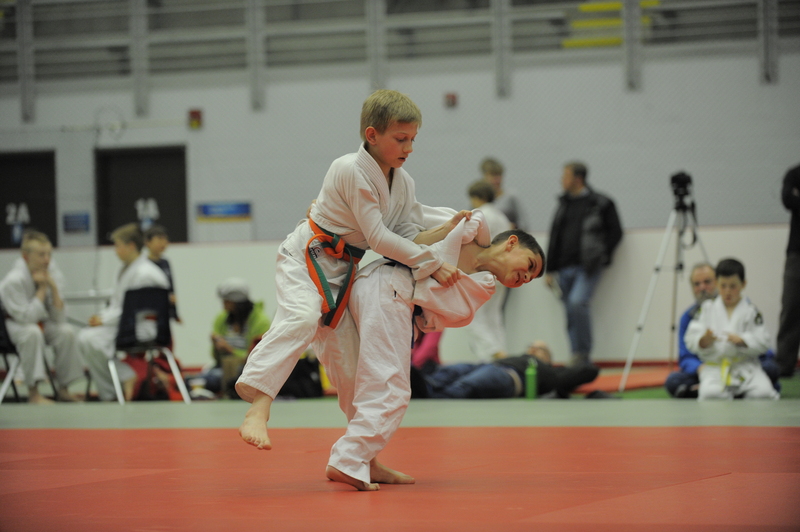 MVJ Judoka have fine showing in Canada. Two Gold and two silver. Garrett wins MVJ Shai Obi award. Gavin wins best throw award. Special thanks to Talia and Mackenzie for coaching. Click here for full results. March 21st Tournament hosted by UAA Judo. 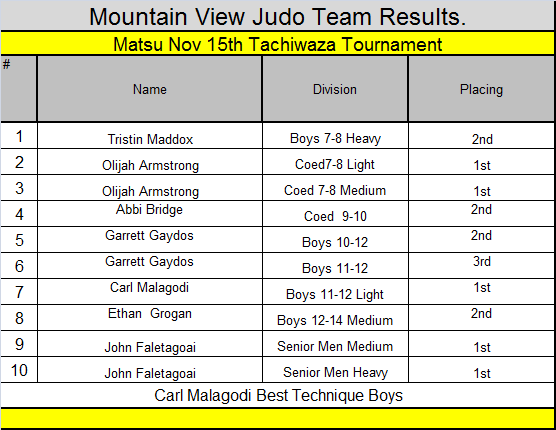 Click here for MVJ results. Feb. 21st, 2015: Judo Rules Clinic. MVJ was well represented at the AJI Judo Rules Clinic held over the weekend with 6 of our members in attendance. We were also the host club for the event. Thanks to all the MVJ members that came out to represent us at this event. 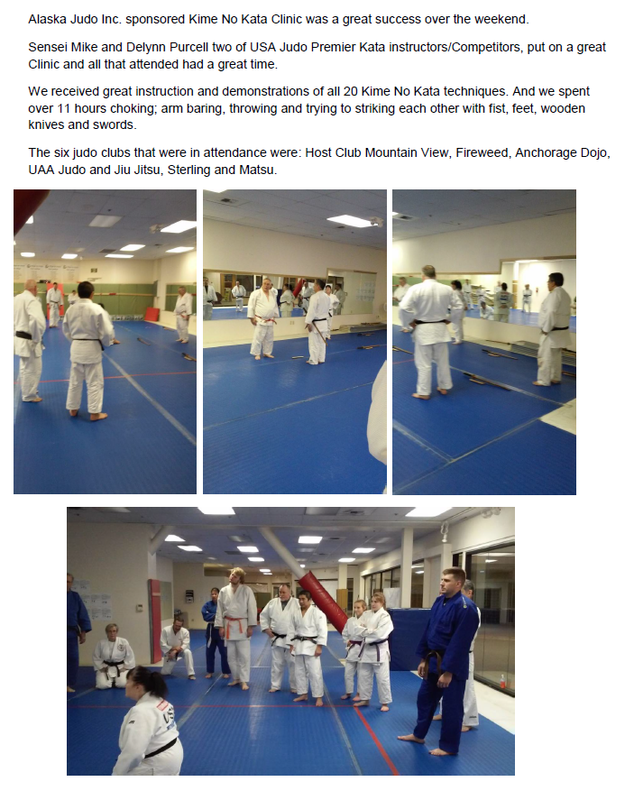 Alaska Judo Inc. sponsored Kime No Kata Clinic was a great success over the weekend. 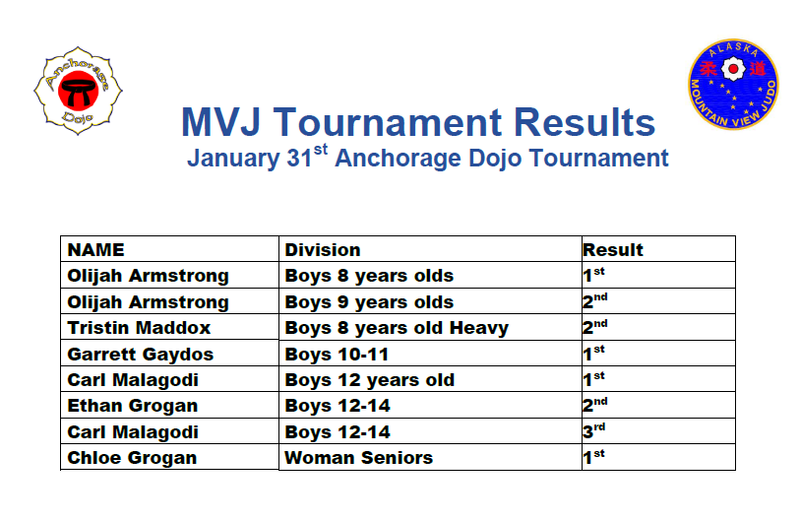 Mountain View Judo Club participated in the Anchorage Dojo Tournament (Jan 31st 2015). It was nice to see some of our parents and other club Judoka come out and cheer our team on over the weekend. Here are the Results. Thanks to all the Judoka that came out to our January 17&18 MVJ Team Training camp. 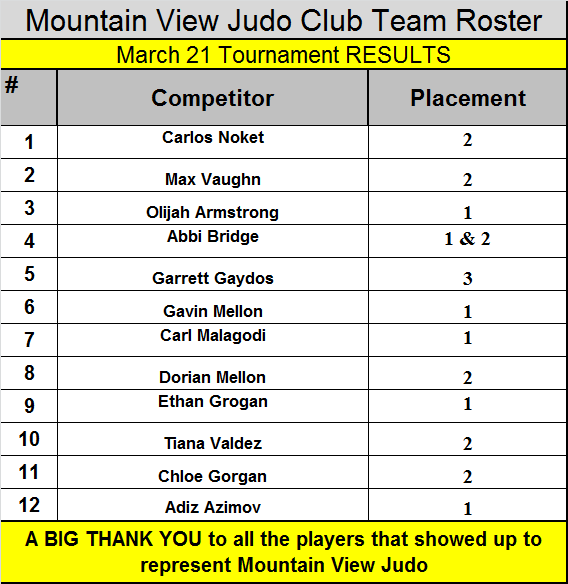 This initial training camp is one portion of our training program designed to help MVJ Judoka prepare for the state Championships, Yukon Open and National Championships tournament. Saturday's Open Mat Practice time Change. 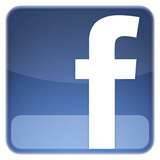 Saturday's Open Mat Practice will now be 10:00am to 11:30am.